Gregory Kyryluk has been releasing music since the mid-90s, both as Alpha Wave Movement (his solo project) and as Thought Guild (a duo with synthesist Christopher Cameron). 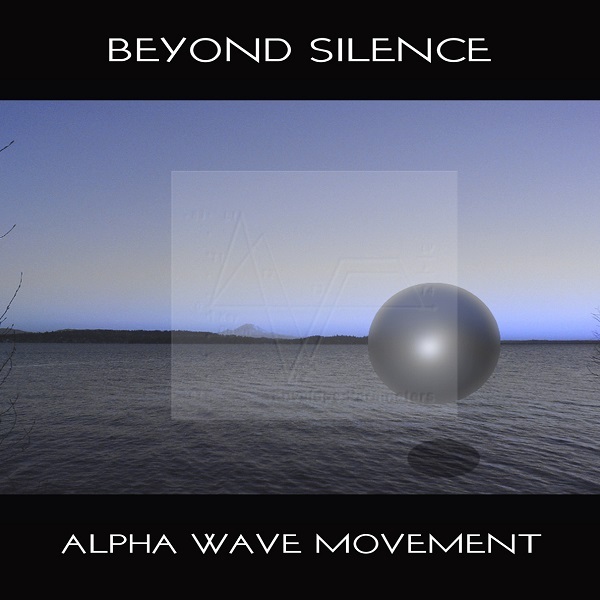 With Beyond Silence AWM presents a pulsating, rhythmic, and heavily sequenced purely synth-and-sample driven electronic music, heavily orchestrated and somewhat song structured, in many ways closer to rock than purely explorative electronic forms. Occasionally the rhythmic pulses and beats drift away and one is left with something more fundamentally pure that echoes the essence of synthetic texture. Some reference points might be 80s Tangerine Dream, Jarre, and Mark Jenkins’ AMP label productions, although AWM seems to have more of an American flavor than its UK and European contemporaries. One particular cut “Farewell Voyager” almost sounds like a tribute to the late Michael Garrison, with whom Kyryluk’s music shares plenty in common, in structural sensibility, synergetic drive and compositional density. Surely there’s plenty, in fact more than enough sequenced electronic music being produced these days – more than the casual listener can keep up with, and while it might be easy to dismiss something like this as another faceless Tangerine Dream clone, a closer listen reveals something a lot more inspired, shamelessly melodic and genuinely new-world.